Finding the perfect bottle of wine to bring as a gift when invited to a friend or colleague's home for dinner is a daunting decision. If you're looking to find the perfect bottle of wine to bring as a host/hostess gift, consider an easy to find wine, but something that will pair well with a variety of foods, and has been a consistent wine from vintage to vintage. Select tried and true classic wines that will go over well in any situation. 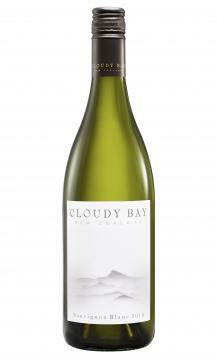 Cloudy Bay Sauvignon Blanc is a consistently solid wine each vintage and is a great alternative to many of the more well-known white wines from the US. One of the best versions is the 2013 "Te Koko" bottling (average $33). They held back three percent of the wine and barrel fermented it using indigenous yeasts, which gives a more complex wine. In general, you'll find Cloudy Bay Sauvignon Blancs to have white floral and herbal scents, with sweet stone fruits and honeysuckle, and a mineral finish. New Zealand has become renowned for its Sauvignon Blanc, with wines exhibiting the best of this white grape's characteristics. The first Sauvignon Blanc vines in New Zealand were planted in 1973, and by the 1990s it was established as the country's flagship wine. With demand continuing to increase, it's now the country's most widely planted varietal. This popular grape is grown on both islands, each of which showcases how climate can alter the flavor profile of wines. Sauvignon Blancs typically pair with a variety of dishes, including seafood and summer salads. It is a very versatile wine, working well as an aperitif or as a main course wine for a lighter dinner. If you're looking for a versatile red that pairs well with a variety of dishes and appetizers, consider an Argentine Malbec. 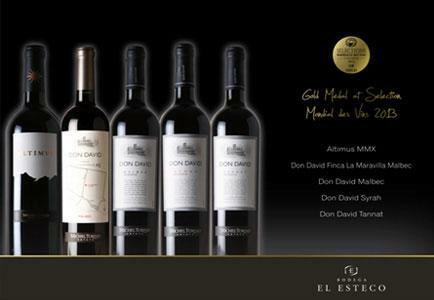 The Don David Malbec is easily sourced and exhibits some of the best characteristics of the Malbec grape. It's consistent with every vintage and has won a number of awards, including 91 points in 2012 from Wine Enthusiast. On the nose, you'll find the Don David Reserve Malbec ($17) exhibits notes of blueberry, boysenberry, charcoal, oak, cardamom, and star anise. On the palate, it starts off with notes of blackberry, licorice, and spice, while the finish is peppery and minty. It's full-bodied with higher alcohol, acidity, and tannins, but it is a very food-friendly wine. Typically, charcuterie, smoked meats, spaghetti, burgers, and more go well with a younger Malbec. Roasted and stewed beef, braised lamb, sausages, and spice-heavy sauces work well with most Malbecs. d'Arenberg Winery is located in Australia's McLaren Vale and dates back to the early 1900's. They got their start selling fortified wines for export to England, but WWII reduced the demand. This coincided with some family issues that forced the family's 16-year-old son, D'Arry, to quit school in 1943 and help run the winery. He took control of the business in 1957 and created a wine in honor of his mother, Helena d'Arenberg, and put a red stripe on the label as a reminder of his happy school days, where he wore a crimson and white tie. The winery is still family owned, with D'Arry's son joining the business in 1984.
d'Arenberg produces over 60 wines and you'll find a well-balance Shiraz, which makes a great wine gift. Many of these wines can be consumed immediately, but they also have great cellar potential. One great option is the Footbolt Shiraz (about $17), named after the owner's successful racehorse that he sold in order to purchase the d'Arenberg property. It has lots of black pepper and baking spices on the nose while licorice and aniseed are readily noted. On the palate, you'll find dark fruit, blood orange, charcuterie, and peaty earth. The finish is spicy with a hint of minerals. 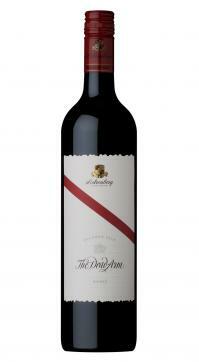 Another recommendation is the d'Arenberg Dead Arm Shiraz (less than $60). The 2008 vintage earned 95 points from Decanter Magazine and it was recommended as one of the top 5 d'Arenberg wines to try. This wine should be decanted and then you'll really pick up the earthy and savory notes. As it aerates, sweet black fruits are noted. On the palate, dark fruits like blackberry, plum, and mulberry dominate. It has woody spices and a slate/crushed rock tannin finish. When it comes to pairing, enjoy a Shiraz with meat dishes like beef, sausage, and barbecued meats. Also fruit and dark chocolate typically work well with a hearty Shiraz. For a really unforgettable gift, splurge for the iconic and historic Chateau Montelena Chardonnay from Napa Valley. One of the current vintages on release is the 2014 Napa Valley Chardonnay ($58), which has floral and citrus notes like rose petals, lemon blossom, and a bit of melon. On the palate, lots of lemon meringue, peach pie, and ripe strawberry. It finishes with a nice minerality with some orange zest and even crème brûlée. 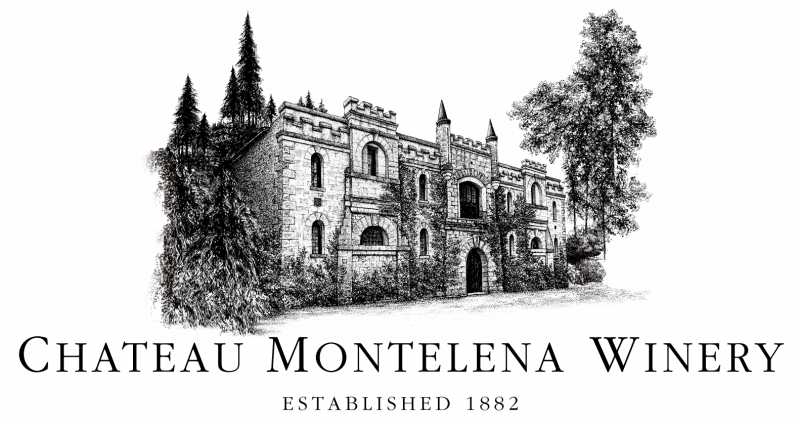 Although Chateau Montelena is a New World wine, it's made in the Old World Burgundian style. This means it typically pairs well with richer fish dishes, some pork, chicken, and foods in a cream or mushroom sauce. 1973 was a pivotal vintage for Chateau Montelena, and was one of the wines that ultimately put Napa Valley on the wine map. The famous 1976 Judgment of Paris tasting resulted in a huge upset when the 1973 Chardonnay from Chateau Montelena was selected over any of the white Burgundies from France. A bottle of that vintage is on display in the Smithsonian National Museum of American History. The story might even sound familiar if you watch wine movies as the movie "Bottle Shock" was about the entire event and how the wine industry changed in America. The Prisoner is an iconic Napa Valley red blend that has become very popular since its initial release in 2003. It has earned a number of accolades, including 92 points from Wine Advocate and 91 points from Wine Spectator for the 2013 vintage. This beautiful blend was inspired by the "mixed blacks" first made by Italian immigrants who originally settled in the Napa Valley, and the grapes come from 80 vineyards around the Napa Valley. It utilizes a somewhat surprising blend of Zinfandel grapes with Cabernet Sauvignon, Syrah, Petite Syrah, and Charbono. On the nose, you'll find aromas of Bing cherry, dark chocolate, clove, and roasted figs. On the palate, look for ripe raspberry, boysenberry, pomegranate, and a vanilla finish. It's a heavy wine so it may overpower some dishes, so just don't overthink this one. Enjoy it with grilled burgers and other smoked meats. You can also pair it with chocolate and dark chocolate desserts as well as hard cheeses. 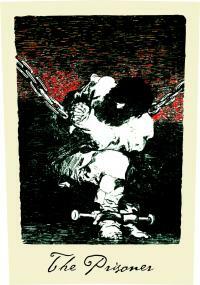 The Prisoner ($47) is readily available at various stores, including directly online from the company itself. If you're buying wine with the assumption it might be opened during the dinner or party you are attending, feel free to ask what the menu might be or what would pair well. White wines are usually easily paired with finger foods and many cheese plates, along with seafood and chicken main courses. Reds like Shiraz, Malbec, and a blend will pair with most main courses, especially those with meat. If you're buying wine for a gift with the assumption it will be opened by the host/hostess later, or they tend to be big oenophiles, go for the special wines like the Chateau Montelena or the d'Arenberg Dead Arm Shiraz so they can enjoy it without having to share it amongst a big group of people where they may only get a few sips of the wine. Want to surprise your host or hostess and not tip them off that you're buying wine? Check their social media accounts, especially Instagram and/or Facebook. You can likely get an idea of what they like and what types of food they enjoy if you don't know them very well. Most importantly, when it comes to making the final decision, don't overthink it. Almost all hosts/hostesses would be thrilled to get any gift of wine!